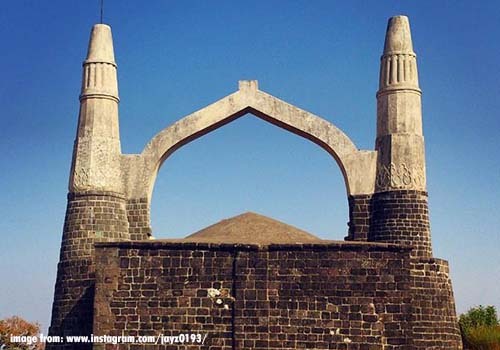 Shivneri fort is located in Junnar Taluka of Pune district. It is 155 kms and 95 kms away from Mumbai and Pune respectively. The trek to Shivneri fort is through two routes one where well-maintained steps are constructed to climb. Whereas the other route is meant for trekkers where steep ascend and narrow rock cut steps satiate the thirst of adventure. 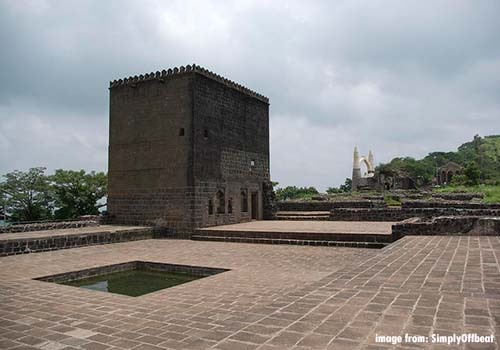 Shivneri fort is primarily of great historic importance as the Great Maratha Warrior Chhatrapati Shivaji Maharaj was born at this fort. 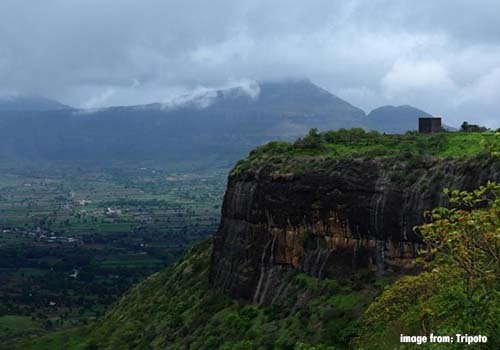 Although Shivaji Maharaj were not able to capture this fort in his reign. You can also view the statue of Shivaji Maharaj as a kid at the Fort along with Ganga-Jamuna Water cisterns and Shiv Mandir. The view from the top is also a feast for the photographers as one witnesses Narayangad, Chavand and back waters of Manikdoh Dam. Meet at Dadar Railway Station (E) near Pritam Hotel at 6 am. We will depart to Junnar which is the base village of Shivneri Fort in the Transfer Vehicle. We will have breakfast en route to Shivneri Fort. Shivneri Fort we are coming! We will reach base village around 9:30 am. After a fun introduction and instruction round, we will start the trek to Shiveri Fort. Reach Shivneri Fort around 11 am. Explore the fort. The Ganga-Jamuna Water cisterns, Shiv Mandir, the place where the great Maratha Warrior Chhatrapati Shivaji Maharaj was born, the view of the landscape nearby fort such as Narayangad, Chavand and Manikdoh Dam. Do not forget to take ample photographs and safe selfies. Around 12:30 pm feast on the local delicacies of freshly cooked vegetarian meals from the local villagers at the fort. We will start the descend and head to Lenyadri caves around 1:30 pm. We will reach Lenyadri caves around 2:30 pm. Explore the caves and take darshan of the Ashtavinayak Temple situated in the caves. We will descend back around 3:30 pm. We will head back to Dadar in the transfer vehicle around 4:30 pm. Please share your experience and feedback of the event while travelling back. ● At least 2 litres of drinking water. ● Cap, camera, mobiles phones, socks, extra pairs of clothes/ raincoat.